Drexan HeatTracer self-regulating cables and metallic cables for trace heating. What type of heating cable do you need? We offer reliable and innovative solutions for all of your freeze protection and process temperature maintenance needs. All self-regulating and metallic cables are backed by the best warranty in the industry. 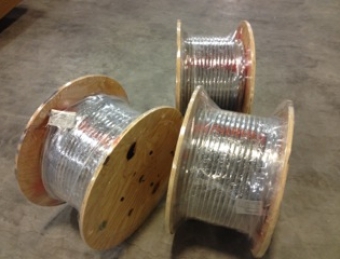 Mineral Insulated (MI) cable, cut to length, for immediate delivery!